Single Bowl Sinks Large single bowl 20 gauge, top mount laundry/utility sink. 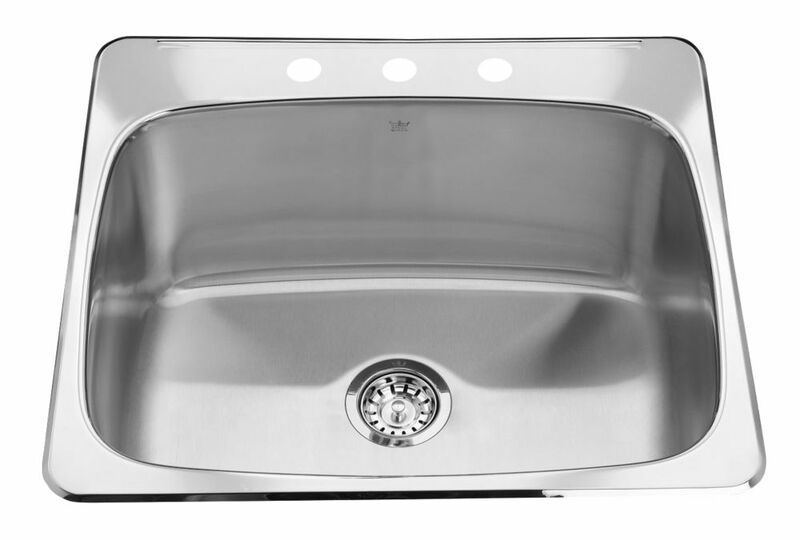 Sink features hard working satin finish bowl, a sparkling mirror finish deck with 3 hole faucet drilling, and center drain. Large capacity 12 inch deep bowl. Ideal for big clean up jobs and laundry pre-soaking. Backed with the standard Kindred Limited Lifetime warranty.